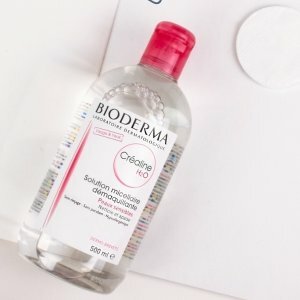 Amazon.com offers the Bioderma Sensibio H2O Cleansing and Make-Up Removing Solution for $14.16 via Subscribe & Save to check. Bioderma Sebium H2O Micellar Water, Cleansing and Make-Up Removing Solution. Bioderma Hydrabio H2O Micellar Water, Cleansing and Make-Up Removing Solution. Bioderma Sensibio Moisturizing Facial Cleansing Milk and Makeup Remover for Sensitive Skin - 8.33 fl. oz.